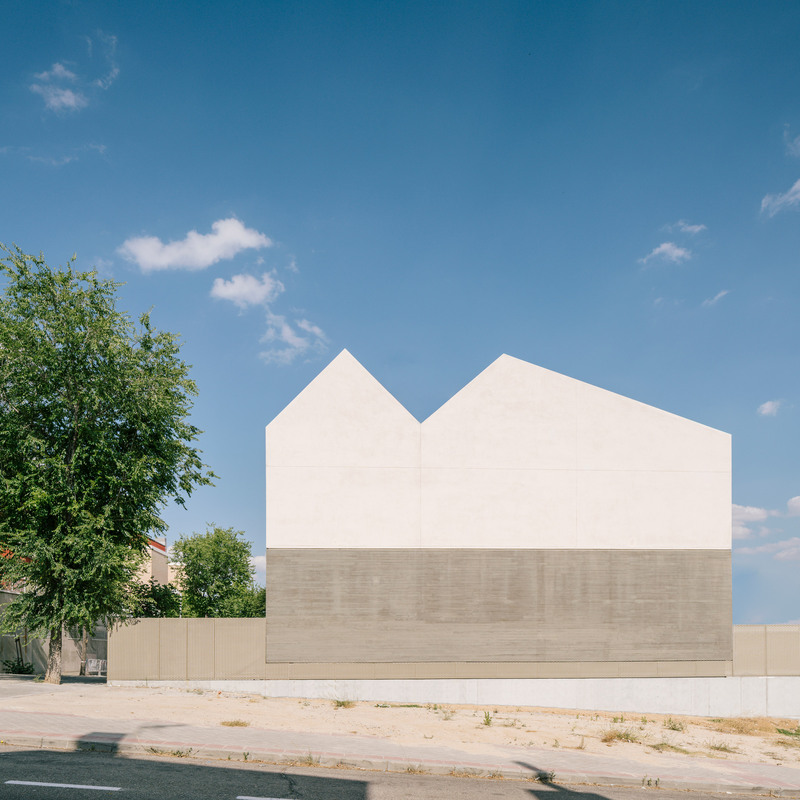 London-based Steyn Studio built Sierra House in Madrid from concrete and travertine with a striking sawtooth roof that looks like a mountain ridge. 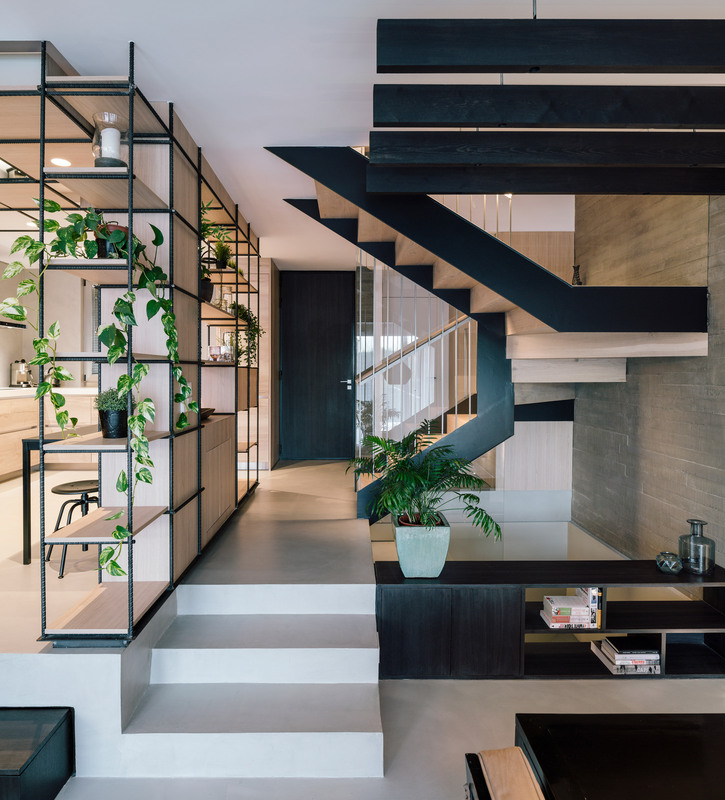 With a narrow, 6.8-metre-wide site and strict planning restrictions, Sierra House is Steyn Studio’s reinterpretation of the typical townhouse typology of the surrounding neighbourhood. Due to local height restrictions the roof could not peak in the middle, so it was built as two forms with a gap in the middle, which is lined with solar panels. 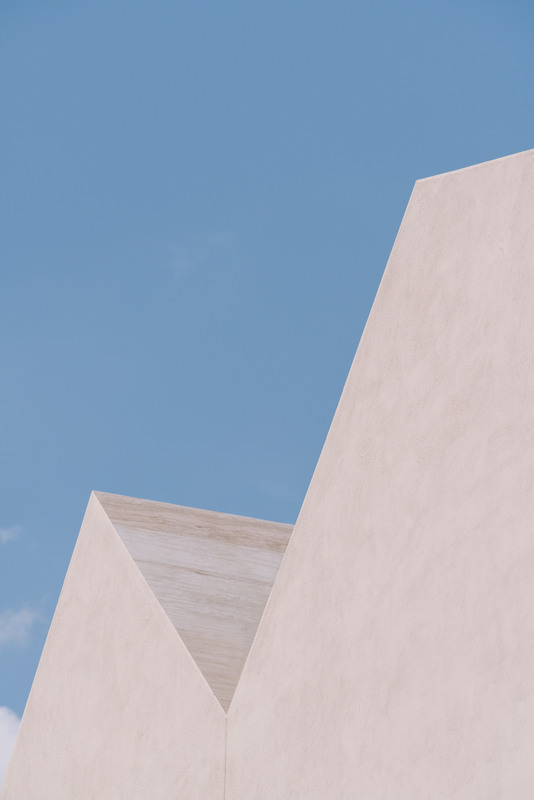 Sierra means both “saw” and “mountain” in Spanish, making it an appropriate name for a house with a jagged roofline. The house is divided into two main sections, a tall and thin rough concrete volume and a larger travertine volume. Metal mesh covers the gap between the two, and both volumes have then been pushed and pulled to create entrances and openings. 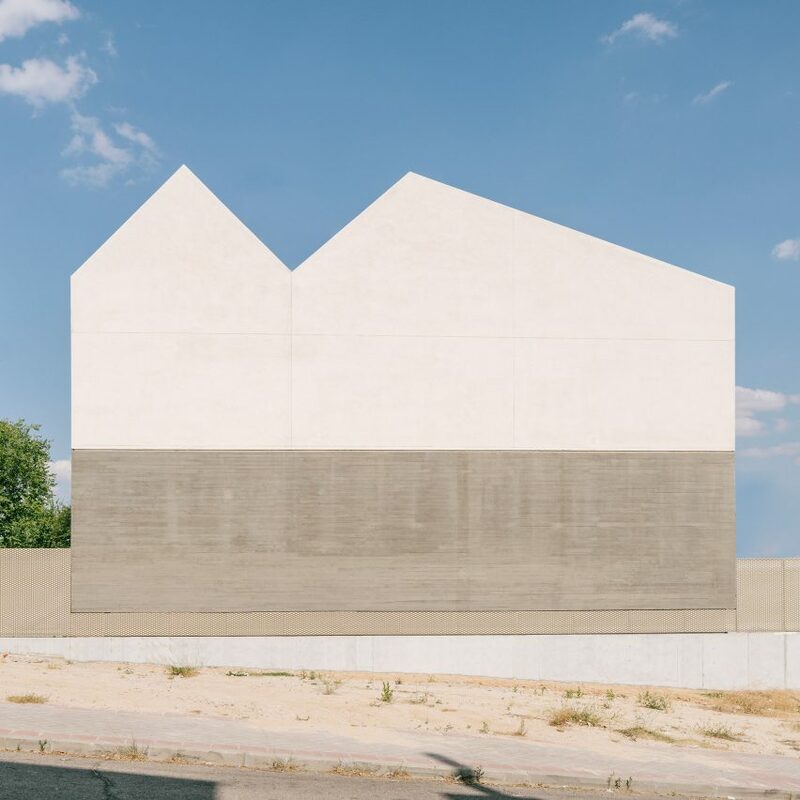 “These two contrasting yet complementary materials reference the villas locality at the edge of Madrid where the urban city – a concrete jungle – meets nature [in the form of] mountains and stone,” said Steyn Studio. Considering the narrow site, the plan has been arranged to create elongated, high spaces that feel as large as possible. The distinct external forms of the concrete and travertine halves of the villa merge internally at the ground floor, forming in a large living, dining and kitchen space. This room faces the long garden behind with windows and sliding glazed doors. “Zones are defined with level changes, height changes and screens. The upper bedroom volumes are conceived as a house within a house, which contributed to its definition overall,” said Steyn Studio. Bedrooms are arranged on the first floor, with bathrooms positioned in the area between the two roof pitches. Internally, thin steel and wood shelving and kitchen units have been set against roughness of the bare concrete walls. The glazed rear of the house can be covered with white curtains. 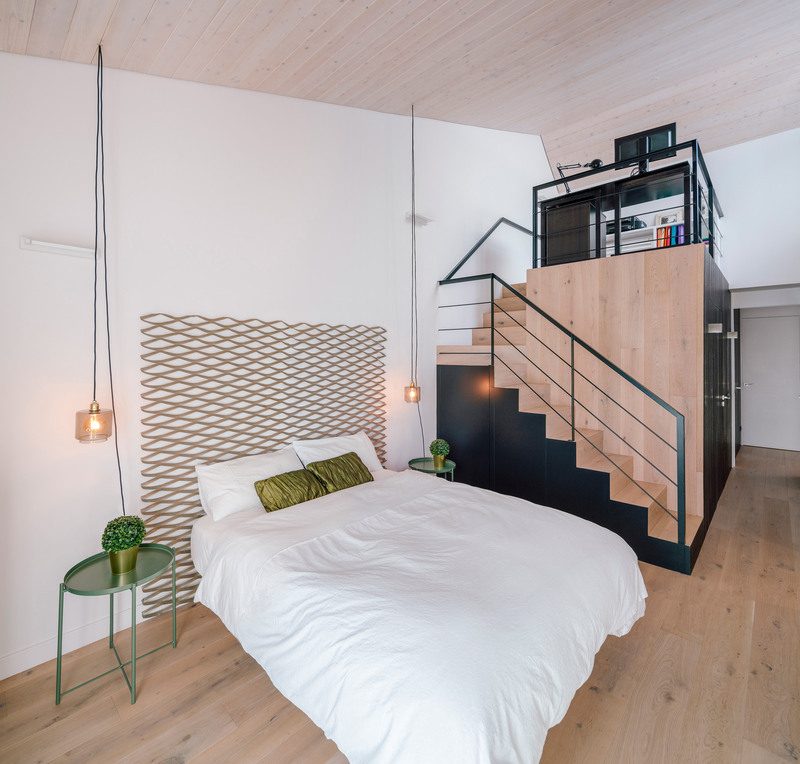 In the bedrooms, pale timber lines the underside of the pitched roofs and, together with white wall finishes gives the rooms an added sense of height. 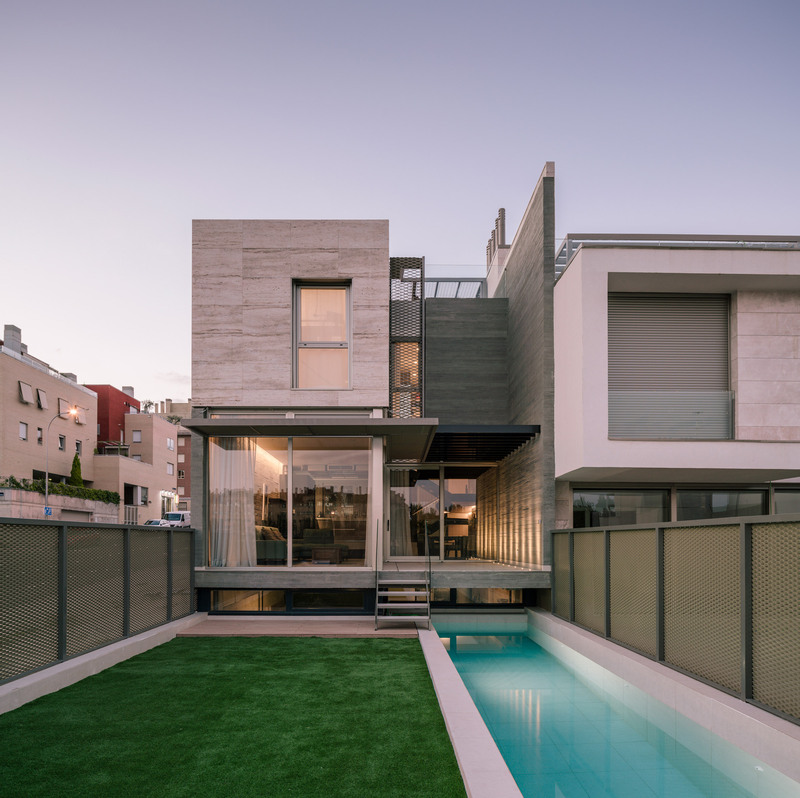 A thin water pool runs through the garden, matching the width of the facade’s concrete volume, and a strip of grass matches the width of the travertine volume. At ground level, thin windows give glimpses into the large garage space housed in the basement. 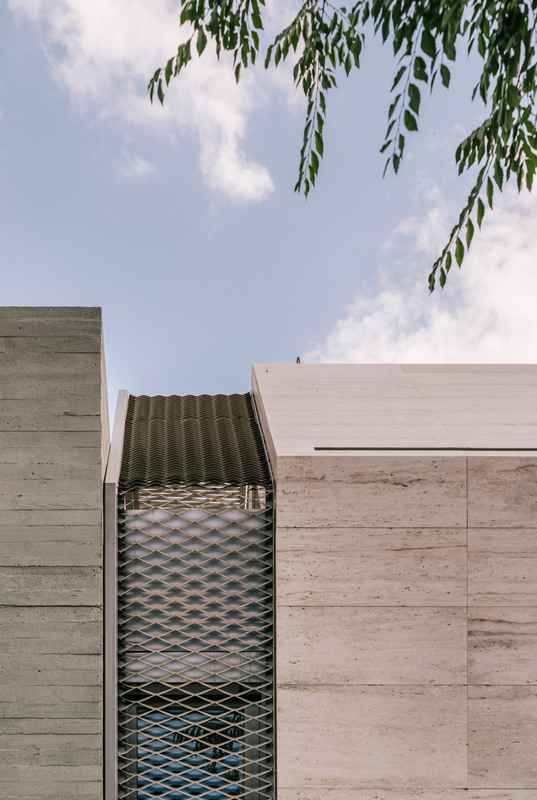 Steyn Studio recently worked with South African firm TV3 Architects to design a chapel with an undulating cast concrete roof in Witzenberg, South Africa. The post Steyn Studio’s concrete and travertine Sierra House has a mountain-shaped roof appeared first on Dezeen.